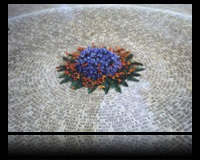 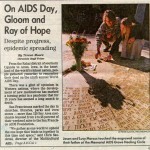 Description: In October of 1996, The United States Congress approved the National AIDS Monument. 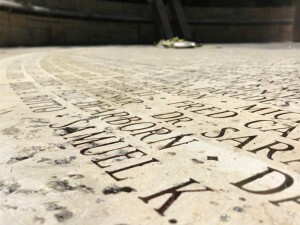 “The difficulty of this job is in maintaining 100% alignment row after row while the names are based on an ever increasing circle size. 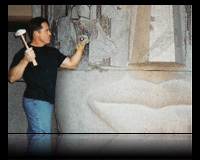 It has taken me years of labor and research to bring my skill set to the level demanded for such a prestigious project.” says Gene Chapman. 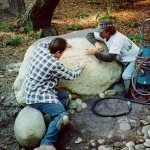 Here, Gene and fellow Chapman Monument artisan, David Moe, prepare a stone for chiseling in the National AIDS Memorial Grove. 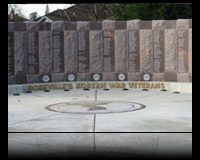 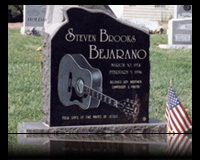 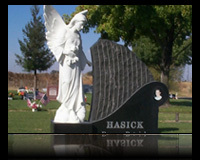 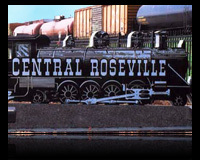 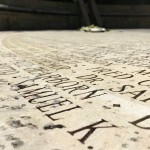 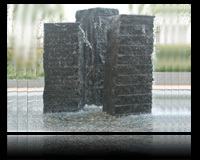 Chapman Monuments can hand carve any type or shape of stone for residential or commercial use. 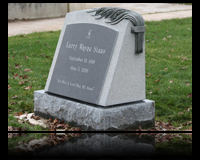 Using the very latest in technology and the highest degree of time-tested-skills, you too can have an ever lasting monument at your home or business. 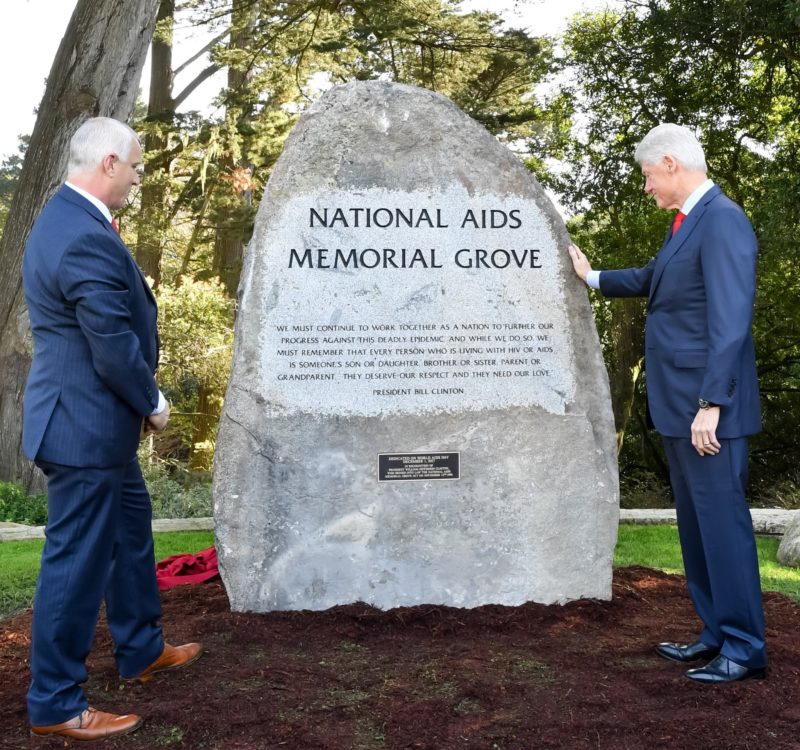 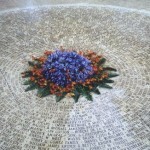 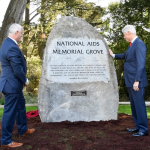 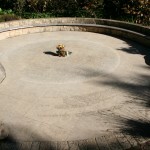 The National Aids Memorial Grove, located in San Francisco’s Golden Gate Park, is a beautifully landscaped 7 1/2 acre grove. 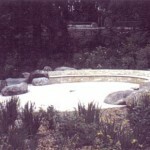 Outcroppings of boulders, benches, stonework, and walkways with inscriptions, are found throughout the grove. 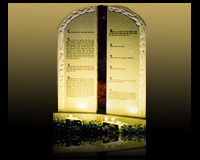 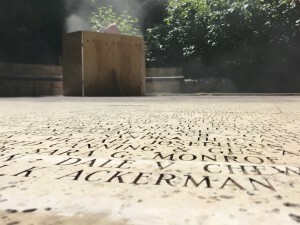 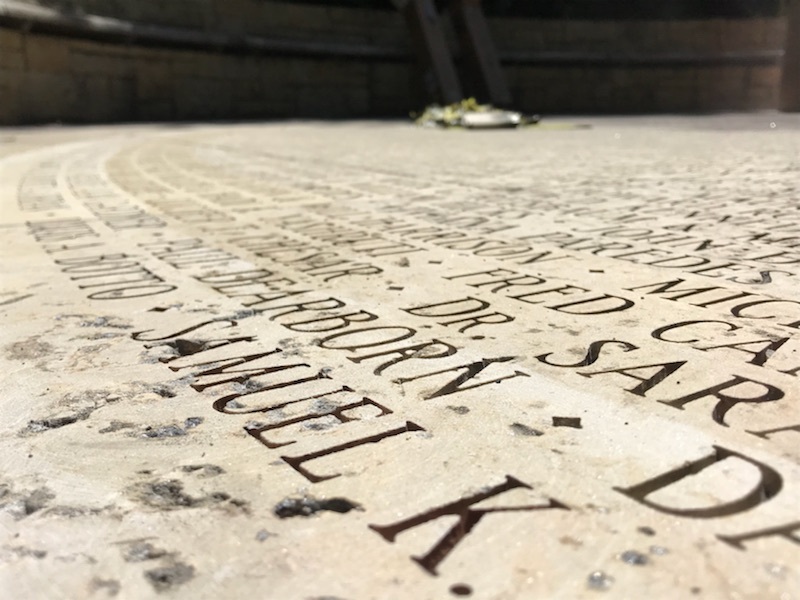 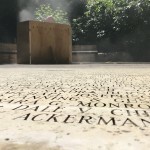 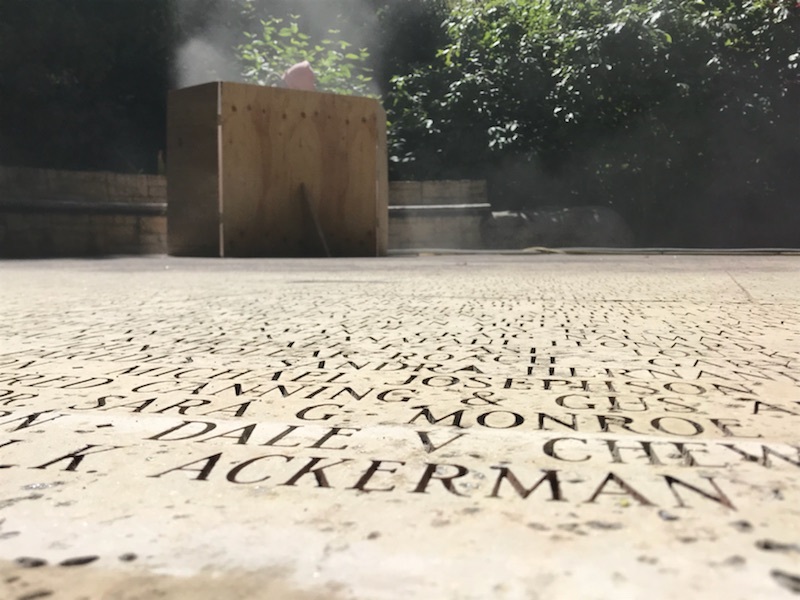 Gene Chapman of Chapman Monument Company is the official engraver for this National Memorial.